Well, here we are, the end of the week already, time really does fly sometimes and so much does it that sometimes I post a few photos to show that time has gone by pretty quickly. 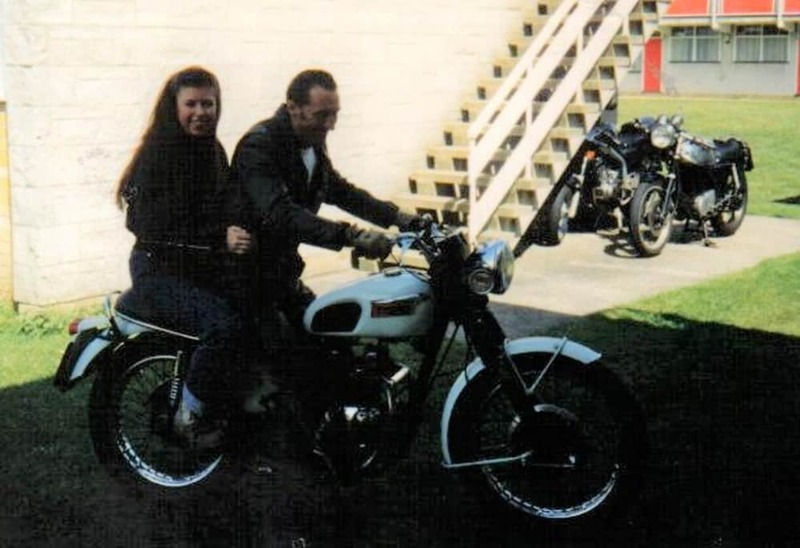 Have a look at the photo below, taken of me back in 1997, I was living in Alexandra palace in North London and rode my trusty 1969 TRIUMPH T100R Daytona all the way to the East Coast to Hemsby for the Rock n Roll weekender. Wearing Leather Jeans, Carolina Boots and Brando Leather Jacket I had such a ball riding there. Below is my Jiving partner Saskia from Holland, such a fun girl and I took her for a run around the holiday Camp, fun times on 2 wheels thats for sure. 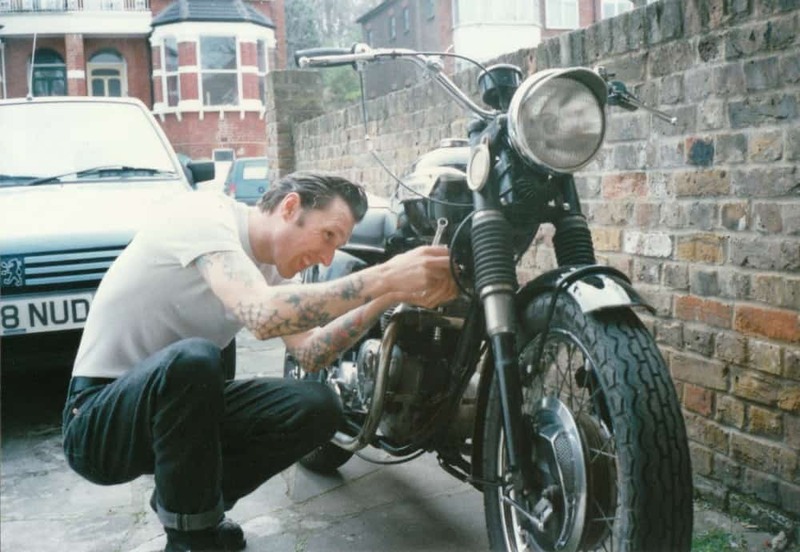 I loved that Triumph, did a lot of work to it and rode it in London all the time, it was my Only means of transport until I got my 55 Chevy, but I loved taking this machine out. 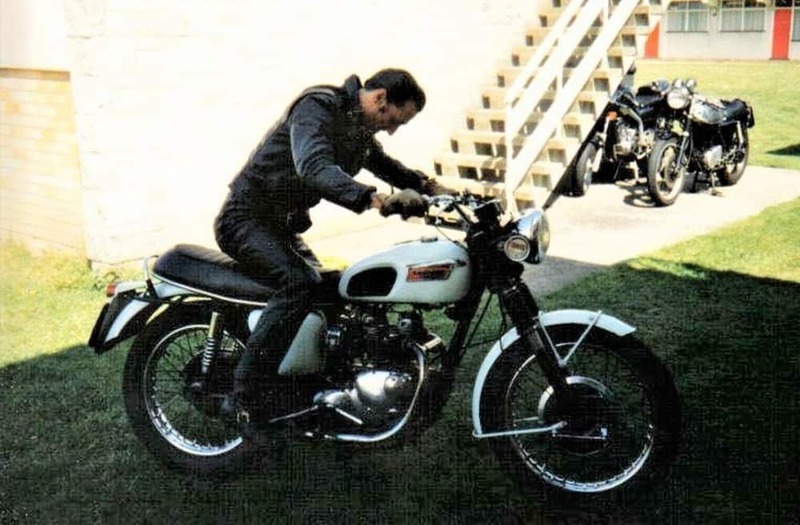 Same bike but I painted it Black, ran this everyday to get to work just off the M25 at south mimms and enjoyed my ride to and from work, I eventually stored this at my buddies place, as I was moving to Australia and a mate of mine Dee Odell purchased it, not sure where it is now though. Fun days for sure.